Nothing slows love down like the friend zone. On the first day at a new high school Brooke meets Luke, the school flirt with a reputation for heartbreak. He’s interested. She’s not. That only makes him chase her more. After a shocking revelation from her dad, Brooke and Luke form an unexpected bond, complete with crazy rules to keep them safely in the friend zone. Problem is, that’s the worst place to be when you’re falling in love. 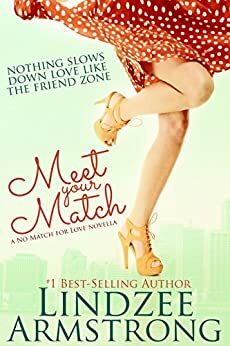 Part of the No Match for Love series, Meet Your Match is a delightfully sweet prequel novella that can be read as a stand-alone. 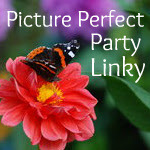 It's sure to delight readers who love Hallmark movies and sweet romance. This series combines complex characters with smart dialogue and a fast-paced plot. Escape into this delightfully clean romance today! I always enjoy a good love story that makes me smile. This is one of those stories. It's a sweet coming of age novella. Brooke is a 16-year-old girl who recently moved with her mother and started attending a new school not far from her old one. Her parents are separated and seeking counselling. Brooke feels betrayed by her father and doesn't trust boys, especially not self-confident Luke. Meet Your Match is a quick read with enough things going wrong in the young love department to keep it interesting. The characters are also personable. I recommend it for ages 12 and up. Lindzee has always been a romantic, and as such loves chick flicks, ice cream, and chocolate. Reality TV is her not-so-secret obsession. She believes in sigh-worthy kisses and happily ever afters, and loves expressing that through her writing. She met her true love while at college, where she studied history education, and they are now happily married and raising twin boys in the Rocky Mountains.